What do you think of the wines from the Loire Valley? Why, you say you are not sure? Come on, give yourself a credit – there is a good chance you had Loire Valley wines, but maybe you simply didn’t associate those wines with the Loire Valley? Let me help you – Sancerre, Pouilly-Fumé (not to be confused with Pouilly-Fuissé), Muscadet, Vouvray, Touraine, Anjou, Saumur, Chinon – had any of the wines with these words on the label? Ah, of course, you are saying? Then now you know – those are all the wines from the Loire Valley in France. The Loire Valley is not the most famous winemaking region in France, but it deserves the utmost respect. Here are some facts for you. Number one region in France for production of the white wines. The largest producer of the sparkling wines in France outside of Champagne. Number two producer of Rosè wines in France after Provence. The largest in France vineyard declared UNESCO World Heritage site. 79 sub-appellations and denominations and more than 2,000 years of winemaking history. These numbers speak for themselves. And to round up the stats – five grapes (Sauvignon Blanc, Chenin Blanc, Melon de Bourgeois, Cabernet Franc and Pinot Noir) comprise most of the Loire wines, but a total of 24 grapes are used there. A few weeks ago, I was happy to attend the “Spring To Loire” trade tasting in New York City, alongside the inimitable, one and only JvB Uncorked – we definitely had lots of fun tasting through the Loire wines together. It was also literally the first tasting this year which I managed to attend, so “happy” is the right word. Besides, I love Loire wines, with Chinon and Saumur been personal pet peeves, as producers of delicious Cabernet Franc. Okay, let’s talk about the wines. I have a few favorites which I will be happy to mention, but first, let me give you my broad stroke impressions. Sancerre had a much lesser amount of fresh cut grass than I was expecting. Okay, I’m not an expert on Sancerre evolution, as I rarely drink them. However, based on what I remember from my education and some of the previous experiences, classic Sancerre is supposed to have pronounced grass and cat pee notes – didn’t find much of the Sancerre like that. Touraine Sauvignons, on another hand, were delicious across the board with an abundance of the freshly cut grass. Many of the Muscadet-Sèvre-et-Maine wines were lacking the characteristic acidity. When going for Muscadet, I’m expecting acidity which will plucker my mouth and make the cheeks to go meet each other. Many Muscadet in the tasting were nice white wines, but they were lacking their prized quality. The Chenin Blanc was a star. We had a number of delicious Vouvray and not only wines, which offered bright acidity, sometimes a touch of sweetness, a round mouthfeel – all which you would expect from a nicely done old world Chenin. Many of the Chinon and Saumur Reds were too tannic. This was a total surprise – the wines were fermented and aged in stainless steel tanks, nevertheless, the mouth was drying up almost as much as if you would be tasting the young Barolo. I was told that the whole cluster fermentation and aging was a culprit, but this was not a pleasant surprise. I really expect much more elegant and approachable wines to come from those regions. Nevertheless, we managed to find a few of the superb reds. Done with my general impressions – here are some limited notes on my favorite wines. 2016 Domaine Pascal Jolivet Les Caillottes Sancerre AOC (SRP: $38) – steely acidity, crisp, a touch of grass. 2015 Domaine Pascal Jolivet Sauvage Sancerre AOC (SRP: $73) – this wine was just ok. The only reason to include it – this was probably the most expensive wine in the tasting, and it really didn’t deliver. 2016 Domaine Michel Vatan Calcaire Sancerre AOC – presented at the seminar – on the nose, minerality, lemon, distant touch of the grass, crisp, fresh. Excellent acidity on the palate, very nice overall. 2017 Raphael Midoir De Silex et Tuffeau Touraine AOC (SRP $14.99) – outstanding. Classic nose, delicious. 2016 Raphael Midoir La Plaine des Cailloux Touraine-Oisly AOC (SRP $19.99) – outstanding, great complexity. 2016 Château de la Mulonnière M De Mulonnière Anjou – presented at the seminar – delicious. White stone fruit, peaches on the nose. A touch of sweetness and perfect balance on the palate. Outstanding. 2017 La Croix des Loges Anjou White AOC (SRP $14.99) – outstanding. Clean, fresh, touch of sweetness. 2014 La Croix des Loges Trois Failles Anjou AOC (SRP $22.99) – outstanding, gunflint on the nose, clean, balanced palate. 1977 La Croix des Loges Bonnezeaux AOC – yes, 1977, this is not a typo – this was an off the list, off the charts treat – a Chenin Blanc dessert wine, still elegant and complex. 2017 Domaine du Colombier Vla de Loire IGP ($14.99, 100% Sauvignon Gris) – excellent, fresh, complex. 2015 Domaines des Varinelles Saumur-Champigny AOC (SRP: $20) – amazing similarity with Lodi wines on the palate – soft, aromatic, touch of cinnamon, ripe blueberries and raspberries, hint of blueberry compote. The similarity with Lodi is mind-boggling. Let’s not forget that this is Cabernet Franc wine, so there must be something there which can explain it. Need to dig deeper into this, I’m really curious. 2015 Domaines des Varinelles Laurintale Saumur-Champigny AOC (SRP: $24) – muted nose, and practically identical on the palate to the previous wine from the same domain. I will look into it… But two superb wines by all means – the wine are coming from the old world, but clearly, are screaming “new world”. 2017 Domaine du Raifault Chinon AOC (SRP: $17.95) – wow! Cassis on the nose, cassis on the palate – spectacular. This was my best of tasting red wine. This wine is not available in the US yes (we tasted one of only two bottles brought in for tasting) – in the process of being imported. Once it arrives, do yourself a favor – go find it and buy a case, or two. You can thank me later. 2016 Sauvion Chinon AOC (SRP: $17.99) – interesting dense nose, great palate, sandalwood, smoke, fresh, present. Tannins are still aggressive, but not as much as others. 2014 Xavier Flouret Domaine de Chatenoy Menetou-Salon AOC (SRP: $20.95) – great Pinot Noir – excellent fresh nose, great balance of dark fruit on the palate, outstanding. 15 generations of vignerons know what they are doing. Definitely one of the highlights of the tasting. 2015 Domaine Gérard Millet Sancerre Red (SRP: $25) – fresh, crisp, herbs, spices, light. The Spring is finally here (or at least it seems so in New York), so go on, find some Loire wines to explore on your own. Cheers! Truth be told, I love visiting foreign countries. Ability to do that without flying is a huge bonus. So if you live in the Northeast USA, the only foreign country one can visit without flying is Canada – and if you live in the South of the USA, you better really love driving. However, I start getting off the tangent here, so let’s get closer to what I really wanted to talk about. I don’t know how many times I visited Canada in the past 20 years – really a lot, as it is so close. I had a lot of business meetings there, which would be typically 2-3 days in and out – those would usually involve flying. I’ve done a lot of vacations and long weekend giveaways. Here comes the strange part – with the exception of one trip, I never bought wine in Canada before (outside of restaurants and duty-free shops, where I would typically buy Scotch and not wine). And that one exception was our vacation a few years ago, when we stumbled across beautiful wine region of Niagara-on-the-Lake (more details here and here), and bought a good number of wines at the wineries – I even broke the Canadian law (unknowingly), which apparently prohibits one from moving the wines across province’s borders. A recent meeting took me to Toronto, and of course, being a wine geek I am, and remembering great experience of a few years back, I definitely wanted to taste some local wines. If I wouldn’t be a blogger who also like to read other blogs, I’m sure I would be quite oblivious to the ways one can obtain a retail alcohol in Canada – but thanks to my wine blogging friends from Canada, like Bill @ Duff’s Wines, I knew the magic word – LCBO! Whatever the acronym stands for, I understood that this is the key word for one looking to buy a bottle of wine. While walking from the train station to the hotel, I saw the magic word written on the store – and this was the “aha moment” – I’m going to have some fun! If you are into wine, I’m sure you will understand the “Disneyland for adults” analogy for the wine lover at a wine store – especially when it is as large, brightly lit and spacious as the LCBO store I visited. Aisles and aisles of treasures, some under the glass, but still ohh so visible and attractive – good wine store is the place wine lover has a problem leaving on their own. You really need to have a serious reason to walk out of the wine store – it is so much more appealing to look and look and look. It was definitely interesting to look at the wine selection and the prices – but my end goal was to get a few of the local wines, which means Niagara Peninsula in this particular case, however without spending much money. I ended up with three wines – the Riesling, as I simply love Riesling, and this is the grape which folks in Canada know very well how to handle right; Pinot Noir from Inniskillin, simply because I love Inniskillin, and I had some good Canadian Pinot Noir wines before; and Cabernet Franc, simply because I love the grape, and I had very good experience with Château des Charmes in the past. P: balanced fresh blueberries on the palate – not overripe, but nicely tart, with good acidity. Tobacco showed up on the second day, still perfectly drinkable, nice wine. There you have it, my friends. When traveling, drink local. And yes, when in Canada, go and visit the LCBO – just make sure you have enough time for it. Cheers! Today, sparkling wines are produced everywhere, and we are getting quite used to it. Sometimes, it comes almost to a surprise when we hear that particular producer doesn’t offer any sparkling, at least as part of the “winery special”. But this was not the case even 10 years ago, when the sources of the sparkling wine were much more limited. When you are thinking about Chilean wines, well respected worldwide, what kind of wines come to mind first? I would bet you are thinking about Cabernet Sauvignon, Merlot, Carmenere, Sauvignon Blanc and may be some Chardonnay. I would also safely bet that you don’t think of Chile as a producer of the sparkling wines, right? So without asking google or reading ahead, can you pause for a second and think when could Sparkling wines be commercially made in Chile? While spending time in France, Don Alberto Valdivieso fell in love with Champagne. As a matter of fact, he loved it so much that upon his return to Chile in 1879, he founded Champagne Valdivieso and became the first producer of the sparkling wines in Chile and the whole of South America. [TaV]: I would guess that Viña Valdivieso first sparkling wines were made with the Traditional Method. When did the Viña Valdivieso start producing sparkling wines using Charmat method? [TaV]: What is the oldest sparkling wine which can be found in your cellars? What was the oldest Viña Valdivieso sparkling wine you ever tried? [VV]: For the earthquakes of 1985 and 2010, that affected our underground cava, we lost bottles from the early fifties to the present. We only recovered some bottles from 1996 onwards that are still preserved in our cellar. [TaV]: Do you make any single vineyard sparkling wines? What about vintage sparklers? Since 2013, we started using the label vintage in Valdivieso Blanc du Blanc. Actually, the new portfolio sparkling for Champenoise Caballo Loco Grand Cru 2014 uses an exceptional vintage. [TaV]: When you produce Traditional Method sparkling wines, do you follow the path of the French Champagne and try to achieve consistent “Chateau” taste profile? How many Vin Clairs your typical blend include? Do you use also reserve wines, and what would be the oldest you would use? [VV]: We use different vintages to give consistency to our portfolio. Charmat Limited include 2 years at least in different percentage of varieties, blending, Traditional method we use Both of 1 vintage as well as several in blending. Currently, the use of expedition liquor for some 2014 bottles of traditional method is from 2011 vintage. [TaV]: Do you use sustainable farming methods? What about organic – you do it now or have any plans? [VV]: Our farming methods are sustainable, being certified with the Wines of Chile Sustainable code. We are working with a 15Ha organic vineyard in the south of Chile with some very exciting red varieties. Grenache, Tempranillo, Mourvedre, Carmenere, Tannat, Carignan, Syrah, and Petit Syrah. The first wines from this vineyard should be appearing late 2018. [TaV]: What was your most challenging vintage for the sparkling wines and why? [VV]: 2012 and 2013 the most difficult, extremely challenging because of the huge amount quantity per hectare. We don´t have Traditional method these years, except Blanc du Blanc 2013, 100% chardonnay. The Chardonnay variety was the only one that excelled to maintain consistency in quality and longevity for its storage in bottles. [TaV]: What was your most difficult vintage for the still wines and why? [VV}: 2016, the most difficult, lots of rain during April. Chile lost around 30% of the harvest due to these rains. Extremely challenging conditions. [TaV]: What were you favorite vintages for the still and sparkling wines? [VV]: For still wines 2000 through to 2010 were exceptional with a string of outstanding vintages, 2001, 2005, 2007, 2009, 2010. I would give the edge to the 2005 vintage, great balance in the wines, maturity, acidity, and exceptional flavor. For sparkling wines 2010, 2014, 2015, 2016. because of the balance of fresh maturity, big natural acidity, fresh fruity character . 2014 was the best, with the fruit from consolidated new areas for traditional method such as Biobio, Limarí, Itata, and new improves for charmat with vines so close to Andes mountains and Coastal range. 2014 is the first vintage for a new sparkling label called Caballo Loco Grand Cru Biobio Valley , Brut Nature and Blanc du Noir, currently available. [TaV]: Today you produce still white wines from Chardonnay and Sauvignon Blanc. Have you ever experimented with any other white varietals? Any plans to introduce any new Viña Valdivieso white wines? [VV]: We do a small amount of Viognier. In the near future we will be launching Rousanne and Marsanne. Both look very promising with great potential. [TaV]: What is the “Next Big White Grape” for Chile? Is there one? 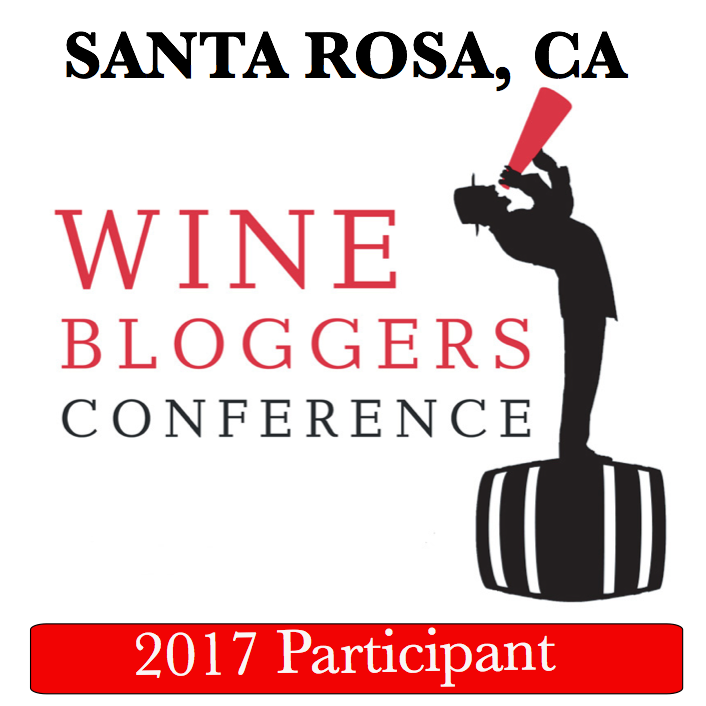 [VV]: The “next big” is white wine. It is not easy to see as on an international scale, Sauvignon Blanc and Chardonnay dominate to such an incredible extent. [TaV]: Same question for the reds – is there “Next Big Red Grape” for the Chilean wines? [VV]: For individuality and exceptional quality, the old vine Carignan from the Maule Valley is making a substantial mark. Also, Syrah has the potential to produce exceptional wines from many different areas of Chile. [TaV]: For how long do you produce your Syrah wines? What is your inspiration for the Syrah? Is there an international style you would compare Viña Valdivieso Syrah to? [VV]: We have been producing Syrah for around 10 years. When looking at what we try and achieve, I really look to the northern Rhone, trying to capture spice, black and white pepper. Our style has evolved over the years, initially being more of a new world dark rich style, whereas now I would compare more to soft spicy Rhone style. However Syrah is so unique in that as a red wine every area it is grown in, it produces a wine which is unique to that area. [TaV]: What is the story behind Caballo Loco? Why all of a sudden to produce Solera-style red wine? Do you produce this wine every year? How do you say it is changing year over year? [VV]: Caballo Loco, has a long history in Chile, the first edition being released in the early nineties. It was created through a series of events between the winemaking team, sales team, and owners. It is a reflection of the innovative nature of Valdivieso, and not being afraid to try new While it is based on our solera Sistema, each bottling is unique and such receives an individual edition number. The current edition on the market is the N°16, which contains 20 different vintages. The new edition N°17 will contain 50% of the previous edition (in this case N°16), and 50% of the new vintage wine. This method allows us to evolve the nuances of the wine over time. Over the years new vineyards, areas, varieties, and techniques have been incorporated into the wine. Each new edition is released when it is ready, which is not necessarily on an annual basis. Roughly every 18 months a new edition is released. The subtle changes over the years for me is principally increasing complexity and depth as we have come to better understand the vineyards of Chile and the opening of new areas. [TaV]: It seems that Valdivieso ÉCLAT was produced only once in 2011, with an unusual for Chile blend of grapes. As there a story behind this wine? Any plans to produce a new vintage? [VV]: Eclat VIGNO, is a blend of Old vine Carignan and Mourvedre. We are part of the VIGNO, a group of 13 wineries which has created this label VIGNO. It is an aggrupation which has been lead by winemakers with the objective to highlight the exceptional quality of these old vine vineyards in the Maule Valley. To place VIGNO on the label the wine must contain 100% of old vine from the Maule Valley. Of this, a minimum of 65% must be old vine Carignan. This is also intended to improve the situation of the small growers in the area, an area with many small growers which had in the past been obliged to sell there Carignan grapes for generic red blends, in which they were diluted away. Now with this initiative, the fruit is sought by many wineries for its quality potential resulting in substantially better prices for the growers. There will definitely be another vintage when the wine is ready. [TaV]: What’s ahead for the Viña Valdivieso – new markets, new wines – what makes you excited? [VV]: New wines to come, we have some really fun projects coming on. From the Maule Valley, we will shortly have some wines from an organic vineyard, being from an exciting range of varieties. Grenache, Syrah, Petit Syrah, Tempranillo, Tannat, Carignan, Carmenere, and Mouvedre. We still do not have a name for the range, but the quality of wine from these low yielding vineyards is exceptional. Late this year we will be launching in the Eclat range 3 new wines under the Curiosity label. Cinsault from the Itata Valley, on the coast, old vines being cultivated in the traditional methods they have been using since vines were first introduced into Chile. There are records of wine being produced in this area since the 17th century. Also, a Rousanne, and a Marsane. These two whites look great, and for me show the potential for these Mediterranean varieties in Chiles conditions. In the markets around the world it is a very exciting time for Chile, after years as been considered the supplier of good easy drinking wines, Chile has now become a very respected wine producer where people are respecting and expecting wines of the highest world class level. As a foreigner who has accepted into the industry I feel very privileged and lucky to have been able to play a small part in what has been this transformation of the wines from Chile. I hope you are still here and reading this – I really love these conversations – while virtual, they still share the passion and even the obsession those little grapes bestow on us. Here we are, my friends. Sparkling from Chile? Yes, please! Cheers! “Rising tide lifts all boats”. 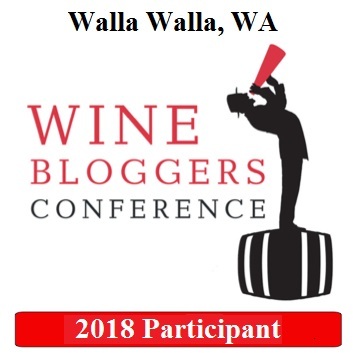 As the wine growing in popularity all over the United States (still does, I hope), we witness the “wine countries” appearing everywhere – not just singular wineries, but the actual aggregations of the wineries, often presented as “wine trails”. While Napa and Sonoma definitely paved and continue leading the way to what the “wine country” is, you can find wineries all over the country offering not only wine tastings, but live music, concerts, dinners, special events and lots more. Long Island wine country is the one closest to the New York City, making the wines for about 40 years by now. There is a very good chance, however, that even if you live in the USA, you never tasted Long Island wines – same as it is practically impossible to find the wines from Texas, Virginia, North Carolina, Arizona or Michigan anywhere outside of those states. So if I will tell you that Long Island makes world class Riesling, Chardonnay, Chenin Blanc and Merlot, you will probably have to take my word for it. Over the past 10 years or so, visiting Long Island wineries on more or less a regular basis, I witnessed those wineries perfectly learning from Napa – both the good and the bad. On the good side, more and more knowledge is accumulated as to which vineyards and grapes do best, which individual plots do best, and the winemaking becoming more precise and resourceful. The bad side is in the fact that as the wines are getting better and better, it is less and less possible to enjoy the wines in the wine country itself, as it becomes more and more touristy – and visitors often get this “tourist special” treatment… Oops – no, we are not going into the rant, nope. Let me get to what I actually wanted to talk about. When I was offered to taste some of the wines produced by Lieb Cellars, I had to do a bit of a research first. It turned out that despite visiting Long Island wineries every year, I never made it to Lieb Cellars and was pretty much unfamiliar with their wines. Therefore, I was looking at the best case – the wine country was coming to me, without any additional tourist distractions, yay! Now, I would like to finally explain the title of this post (after almost falling for a rant, yeah). When the wines arrived and I started taking them out of the box, the first thought was “wow, I love these labels!”. There is really nothing special about those labels, except that they are very clean and simple, and all of them use bright, cheerful colors. We eat with our eyes first – everybody know that – and it works for me the same with the the wine labels. Of course, what’s inside the bottle is far more important than the label itself, but good label makes you anticipate good wine – works for me every time. In case of Lieb Cellars wines, the happiness-inducing labels were also perfectly supported by what was in the bottles, as you can tell from my tasting notes below. Few comments before I will leave you with them. Lieb Cellars produces two different lines of wines. The first line, Lieb Cellars, is being produced since 1992. You can see those wines identified on the labels as Lieb Cellars, and today those are the Reserve wines made only from the estate-produced fruit. In 2004, Lieb Cellars started new line of wines called Bridge Lane – named after the farm road adjacent to one of the Lieb vineyards. While Bridge Lane are called a “second label” wines, there is nothing “second” about them – sustainably farmed, small crop, hand harvested wines, available in 3 different formats – standard bottle, 3L box and 20L kegs – whatever size your heart desires. You can even see those three available sizes pictured on the Bridge Lane labels. V: 8, wow, what a treat! P: lemon, tart fruit, cut through acidity. More of a Sancerre style – less fruit than California, less intensity than NZ. Clean acidity on the finish. The wines give us pleasure. It is not simple to convey that in words, but I hope I managed to share at least a glimpse of a pleasure brought by these Lieb Cellars wines. If anything, let me give you only one advice – find ’em and drink ’em. Cheers! Open That Bottle Night 2017 – What A Night! Let’s say you have a bottle of an excellent wine. Do you know how to make it better than it is? I guarantee you this works every time, so listen carefully. You share it with a friend. Yes, that makes any excellent wine into an amazing one. Works like a charm. Saturday, February 25th was Open That Bottle Night (OTBN for short) – the night when there is no bottle in your cellar which is off limits. If you are not familiar with OTBN, you can read more here. What made my OTBN twice as special was the visit by Oliver and his wife Nina. For me, the decisions around wine are never easy. I typically buy wine in the single bottle quantities (okay, maybe four at the most, when I need to get a free shipping from WTSO) – thus any bottle can qualify as a special one. As an exception to my long and almost painful decision process, for this OTBN I had a very clear idea – 1982 Olga Raffault Chinon, of which I had a single bottle. The bottle out of the wine fridge and ready for the prime time. As you can tell, this is not very encouraging. However, if you like older wines and get an opportunity to open them, you know that the state of the top of the cork is nothing to fret about. More often than not, behind most terrible looking mildew there is a delicious wine. And for the wine… what can I tell you… This 1982 Olga Raffault “Les Picasses” Chinon, Loire looked perfectly fresh in the glass – not a sign of losing color. Here are the two glasses, one is with 1982 Cabernet Franc, the second one is with 2014 – care to guess which glass contains 1982? Yes, the one on the left is with 1982 wine, but I believe you would agree that the color shows perfectly young. The nose and the palate were an incredible study in Cabernet Franc flavor profile 101. The wine opened full of bell pepper – both on the nose and the palate. In about 10 minutes, the bell pepper was gone – and what was left was pure, unadulterated black currant – stunning, full flavorful black currant, also known as cassis if we want to use traditional French terminology. The wine had perfect structure, firm, with fresh acidity, almost crisp – and loads and loads of black currant. This was truly a treat. We followed with a beautiful rendition of Ruchè – 2012 Poggio Ridente Ruchè di Castagnole Monferrato DOCG San Marziano (organic grapes). Ruchè is a little known red grape, cultivated in the Monferrato region in Piedmont, capable of making very concentrated wines. This particular bottle, brought by Oliver and Nina directly from Italy, was fresh and open, with nicely restrained palate with mostly herbal flavors, and a twist – dried mango undertones. Nina was the one to identify the dried mango, while I was desperately trying to figure out what that strange flavor was – but that was a spot-on descriptor. An outstanding wine by all means. Our next wine was 1989 Kaseler Nies’chen Riesling Auslese Mosel-Saar-Ruwer. No issues with the cork (makes me happy). Still fresh, clean light golden color (28-years old wine!). The nose and the palate were singing in unison here, and the music was simple – peaches and apricots. Slightly underripe peaches and fresh, plump apricots. The balance of sweetness and acidity was impeccable – the wine was fresh and alive, without any sign of age. Wow. As an added bonus, the grapes for this wine were harvested in November of 1989 – the year and a month when Berlin Wall was demolished – and this is what the label of this wine commemorates. Our OTBN night didn’t finish there. You would expect us to go to something nice and sweets after such a beautiful Riesling, right? In the conversation, it came out that Oliver doesn’t like Tempranillo wines. Being a Spanish wine buff, I had to fix that immediately, so I had to pull out the big guns. 2001 La Rioja Alta Viña Ardanza Rioja Reserva Especial was absolutely beautiful from the get-go – cedar box and eucalyptus on the nose, soft and gentle cherries on the palate, fresh, round. I hope I made Oliver a convert – but will see about that the next time we will meet. There you are, my friends. A stunning OTBN with great wines and great company. Hope you enjoyed your OTBN as much as we did – feel free to share your OTBN stories below. Cheers!